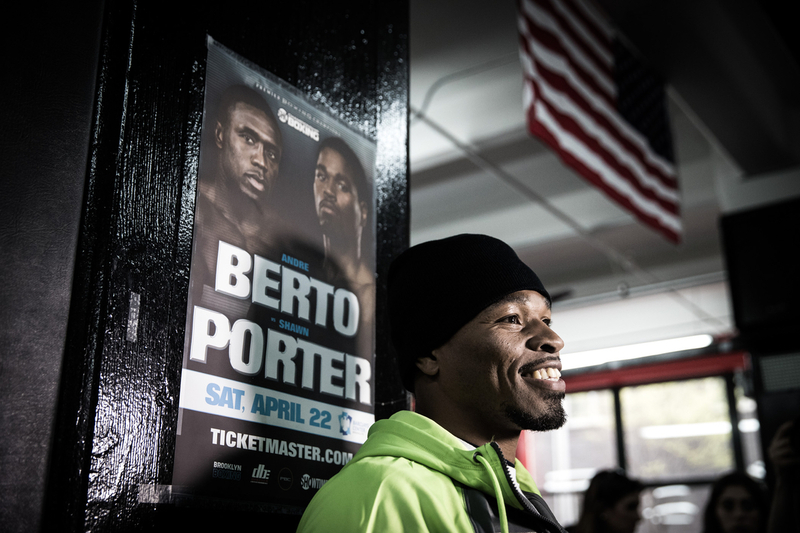 BROOKLYN, N.Y.—Shawn Porter is just .500 over his last four fights. 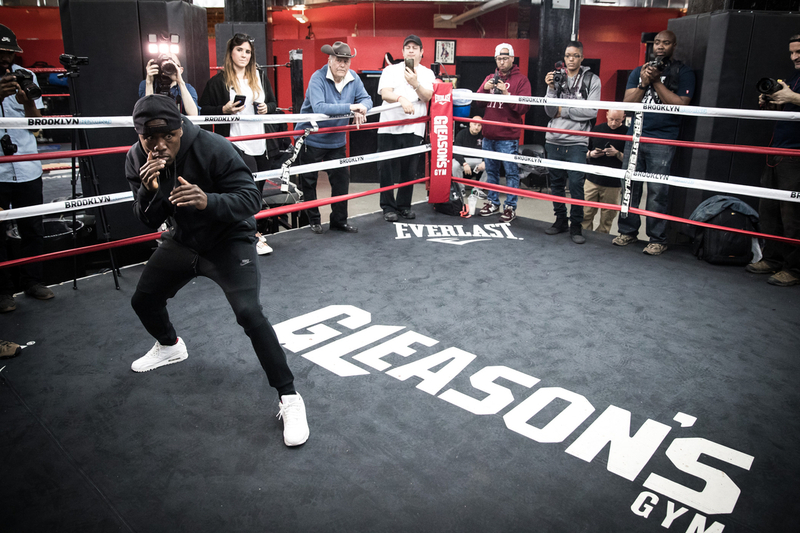 The 29-year-old Akron native and former IBF welterweight champion hasn't stepped in the ring since last June, when he dropped a unanimous decision to now-unified champion Keith Thurman in Brooklyn. Normally, when a boxer claims just two wins over a three-year span, he loses his main-event appeal. 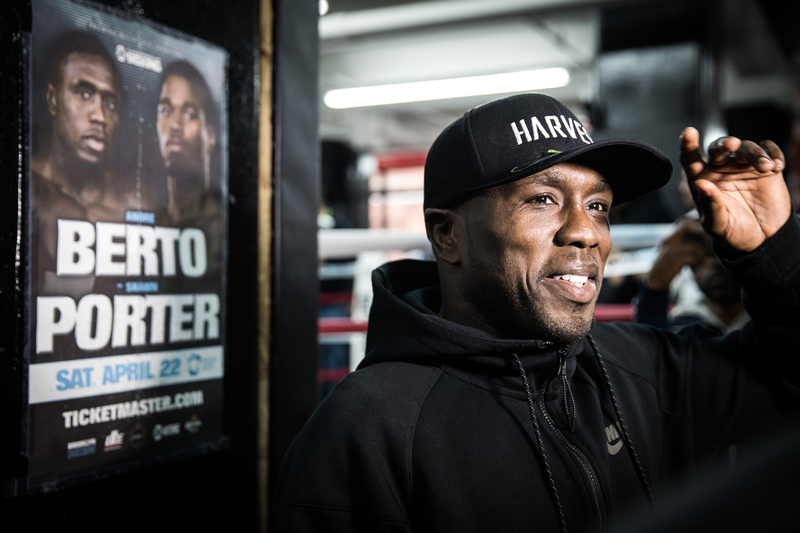 That, however, is not the case for Porter (26-2-1, 16 KOs), who will face veteran Andre Berto (31-4, 24 KOs) in a WBC eliminator at Barclays Center on Saturday night. Showtime's main event not only gives Porter a path back to Thurman, and a world title, but also offers fight fans the tantalizing prospect of a Thurman-Porter sequel. "No one has ever taken it to Keith the way I took it to Keith," said Porter, who claims to be at peace with the judges' decision, even if he still doesn't agree with it. "If they have, they weren't strong enough, or fast enough, or quick enough, or smart enough. I think that fight, I had it all that night." Anyone who watched Thurman's last two fights noticed a stark contrast in entertainment value. It's not that his March 4th win over former WBC belt holder Danny Garcia was boring. The split-decision was tightly contested and the Barclays Center crowd provided a fight-of-the-year environment. But unlike Thurman-Porter, Thurman-Garcia could never live up to such a superlative. According Garcia's father and trainer, Angel Garcia, Thurman won the fight by simply protecting his lead and avoiding any meaningful exchanges over the last few rounds, much to the dismay of the booing crowd. Thurman didn't have that option against Porter, whose relentless is as pleasing to fans as it is upsetting to opponents. There was no clear lead to protect, and even if there was, Porter's unwavering aggressiveness wouldn't allow for Thurman's evasive tactics. "Some people thought Garcia-Thurman lacked action, but I'm not worried about that for this one," Porter said. "I don't condone boos. That's just how I fight." Unlike Thurman-Garcia, Thurman-Porter was an instant classic—like seeing two pitchers simultaneously tossing perfect games. And as good as Thurman was that night, it was Porter's downhill that forced the action. But the boxer nicknamed "Showtime" isn't just trying to put on a show. Porter boxes to win, and he says his only goal is to claim the WBC welterweight crown. "That's something that people have grown accustomed to," Porter said of his style. "I don't do it because people like it. I do it because it's effective." It's certainly a departure from Berto's style, which is more patient and sometimes even tedious. For instance, over Porter's last seven fights, he's landed an average of 16.9 punches per round—13.1 of which are considered power punches, according to CompuBox. Berto, meanwhile, connected on just 14.3 total punches and 9.2 power punches per round over his last eight fights. 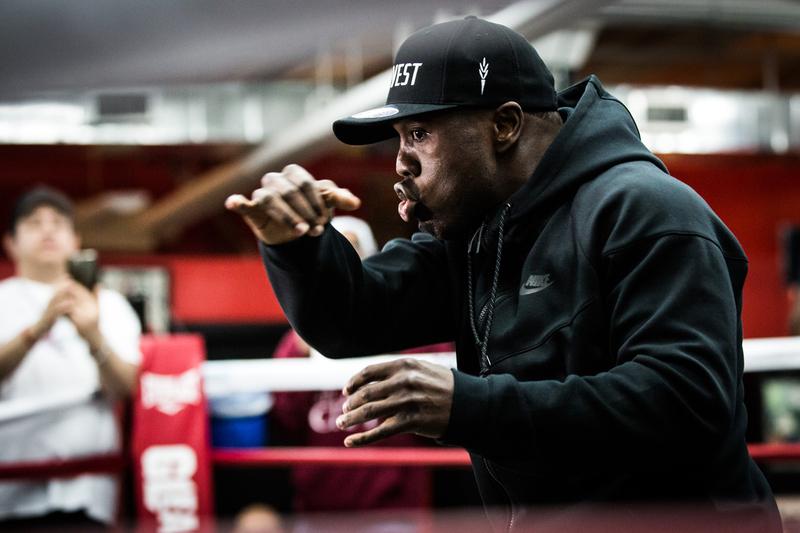 "We saw during the Floyd fight that footwork can work against Andre Berto," Porter said of the unanimous decision Berto lost to Floyd Mayweather in September of 2015. "Against Josesito Lopez we saw that you can box Berto, but you need to get out of the pocket. Against Victor Ortiz we saw that he got put down by Victor. The difference between Victor Ortiz and myself is that I'm a fighter who never stops. I'm coming after you." Berto ultimately scored a knockout over Lopez and avenged a previous loss to Ortiz, but Porter thinks he can avoid a similar fate with a few minor tweaks. First and foremost, he needs to start blending his offense and defense, rather than just alternately switching gears between the two. 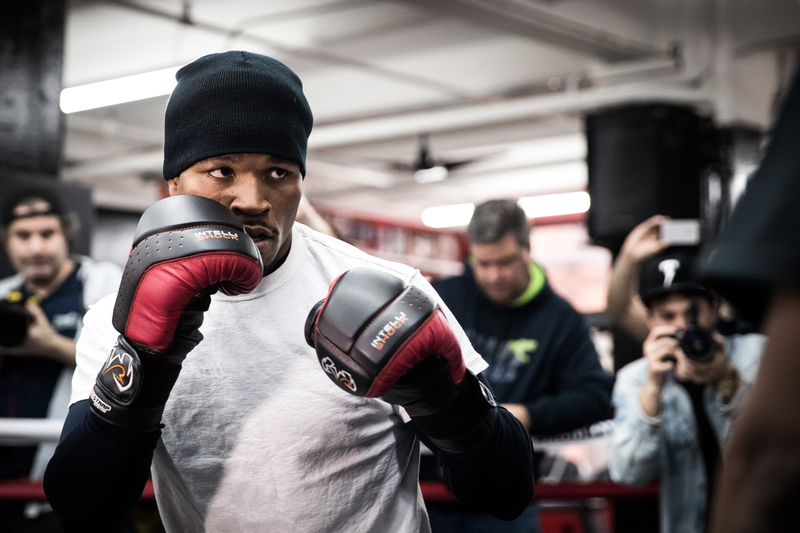 "One of the biggest things that we saw in the Keith Thurman fight—that we're [emphasizing] throughout this camp—has been offense and defense together, simultaneously," said trainer and father, Ken Porter. "They should flow. You should throw punches and you should defend punches in a way where it's not just all offense. We're really asking him to be more responsible on defense during this fight with Berto." The effervescent Porter also has to do a better job of avoiding clinches and holds—two things he dealt with throughout his 2015 win over Adrien Broner and the 2014 defeat in which he lost his IBF crown to Kell Brook on a majority decision. Broner was warned repeatedly and eventually penalized, whereas Brook skillfully tangled his arms with Porter's whenever he felt the need for a breather. "There's no way to get around it," said Ken Porter. "Brook held so much in the fight that it became Shawn trying to break the holds instead of Shawn being able to box or fight… I told him, 'He's holding you and you're gonna have to throw a combination and take an angle so this guy can't grab you.' Shawn didn't take that information and execute it." Naturally, Ken has instructed his son's sparring partners to clinch and hold as much as possible. "He reacts with it really well," Ken said of Shawn. "We have a few things we do on the inside to break a clinch. We do a few things to stop the clinch from occurring by boxing and moving around the guy, so he's doing well." Just how well he does that against Berto on Saturday will have financial ramifications for the rest of his life. A win in Brooklyn and Porter scores a lucrative sequel with Thurman. A loss, however, would likely bury Porter in boxing's deepest division. 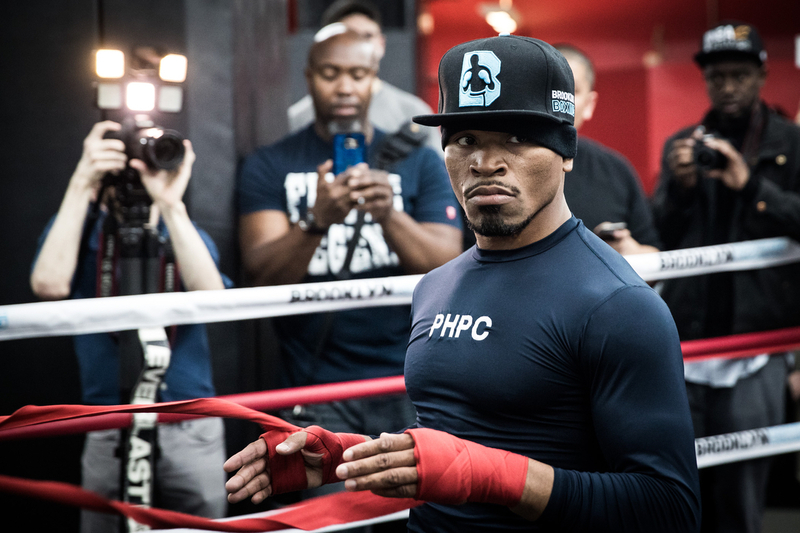 "This is the toughest weight class in boxing," Porter said. "Honestly, I want a rematch with Keith Thurman. I want to be able to say, 'Nobody can beat Keith Thurman, but I did.' I want all of that. But even more than that, I do want that green belt."